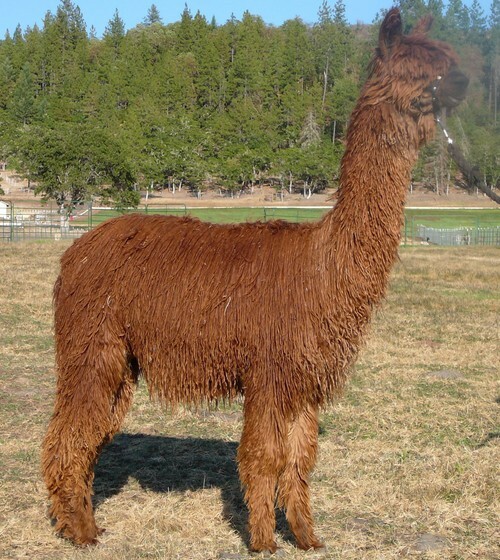 Cheyanna is a beautiful Full Peruvian medium brown girl. 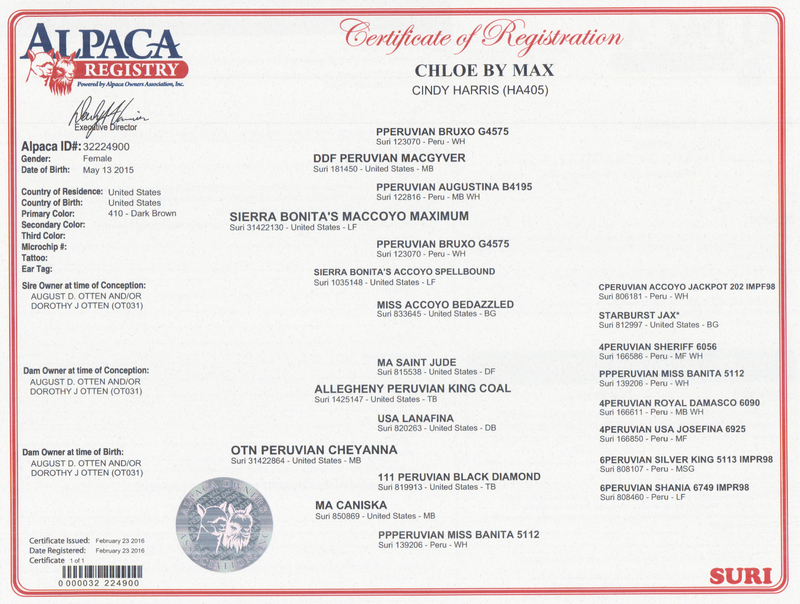 She is out of King Coal who is a Full Peruvian True Black. She is a great mother with lots of milk. 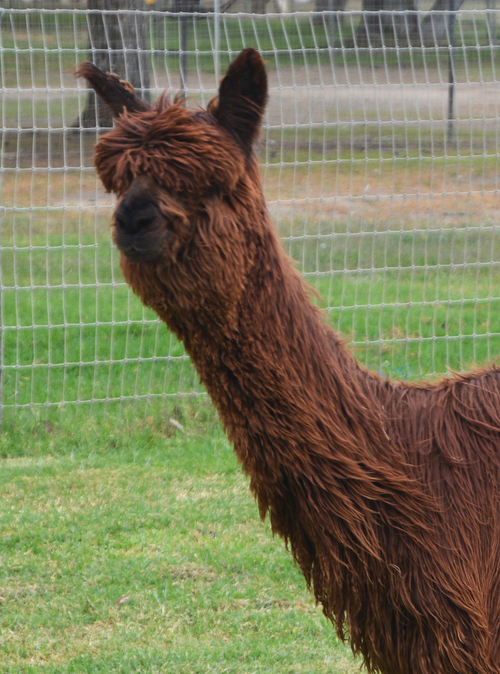 She now has a little Dk Brown girl (born 5-14-2015) who's daddy just happens to be Sierra Bonita's Maccoyo Maximum (Max) Max was awarded the Championship at The Futurity when he had been shorn and he was in a class with full fleece animals. 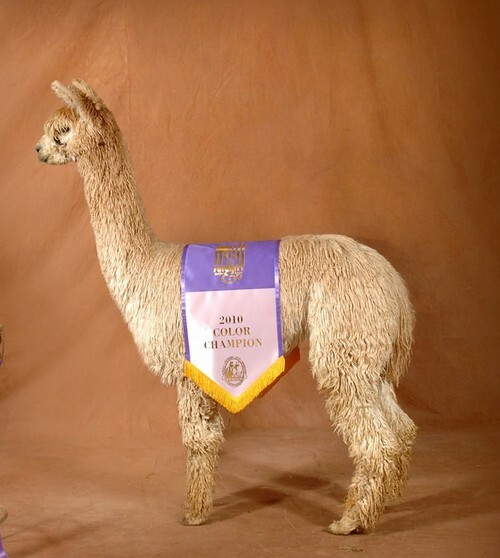 Listen up all you California suri breeders.....Torvo is now proudly co-owned by Randy & Barbara Coleman of Wings & A Prayer Alpacas and Cindy Harris of Alpacas at Windy Hill! Currently summering in sunny California, contact either of us to schedule your breedings to this outstanding Torbio grandson.?? Torvo is a stunning, lustrous blue/black male! And, he's UNRELATED to....wait, don't tell me.......UNRELATED to.......MacGyver! Chloe stole my heart from the first time I saw her. 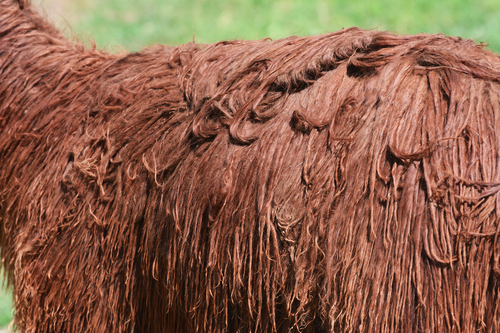 Her fleece is that wonderful deep mahogany color, and amazingly fine, soft, and lustrous while maintaining its independent lock. She has a calm demeanor and an adorable smile. I took her out to show this spring and we had a great time. She placed Third at the California Classic Roundup, and Third in a large juvenile brown class at the CABA Classic. Chloe’s locks are uniform, and exceed 7 inches at just one year of age. Her color is a bit darker underneath than it is on the surface, and glows with brilliant luster. Chloe’s regrowth is even nicer this year than last! 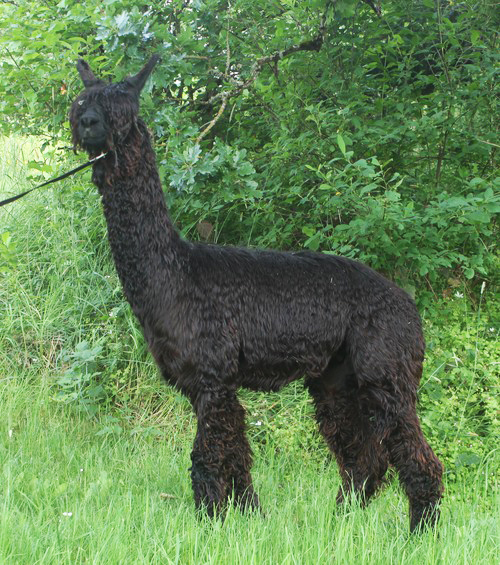 She currently being bred to our black Torbio grandson, CEV Torvo. 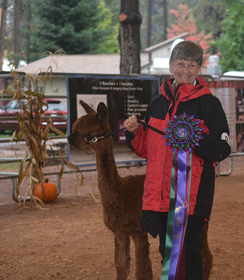 Torvo is co-owned with Randy and Barbara Coleman of Wings and A Prayer Alpacas. He is turning out some stunning dark fleeces this year!